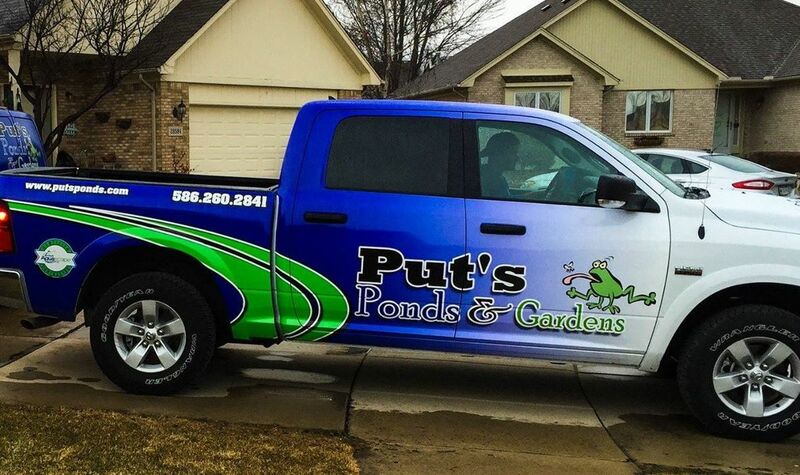 We at Put's Ponds & Gardens serving the Macomb, Oakland, Wayne & St. Clair Counties of Michigan's (MI) ​ surrounding areas believe that Algae control is often considered to be the biggest headache in water gardening. There are different viewpoints as to how algae should be controlled or eliminated – naturally, artificially, or a combination of the two. If you have a pond that’s suffering from green water and you can’t see your fish, you may need to use Artificial Algae Control like a UV filter in order to clear up your water. A UV sterilizer kills a lot of things – parasites, beneficial bacteria, insects, and most other microscopic organisms living in the water. However, the UV filter is totally ineffective when it comes to string algae and may even inadvertently promote an increasingly larger string algae bloom. Mother Nature’s prescription for algae control is simple – make sure you have a balanced ecosystem! Many pond problems are symptoms of imbalances. There are a few products that can help keep your pond in balance, in case it needs a little boost. We like to refer to them as complements to Mother Nature. 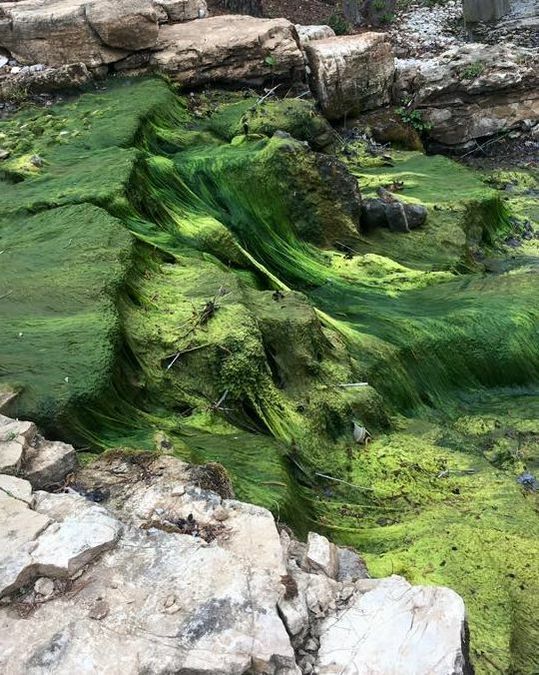 The two types of algae that most water gardeners experience are suspended algae and filamentous algae. Suspended algae consist of millions of microscopic algae floating throughout the water. This causes the water to turn green or “pea soup” color. Filamentous, or string, algae forms long and short hair-like strands, attaching itself to rocks, gravel, plants, or any surface area it can find in the pond. Most pond owners in our area of Michigan will notice a similar algae pattern in their pond, throughout the year. The cooler temperatures of early spring and late fall typically bring increased algae growth. Don’t be discouraged if your pond turns “pea soup” green or you have string algae problems during this time. Be patient. The algae doesn’t mind cool water and can grow happily, but the bacteria that help fight algae growth are dormant. This lack of balance results in excess algae. But as the water warms and the bacteria become more active, the algae will be reduced. Some ponds take longer than others do, but your pond will once again be clear and string algae will noticeably diminish as the summer approaches. Macomb & Oakland County Michigan And surrounding areas. If you are seeking a distinguishing addition to your home or business landscape, if you are ready to enjoy the tranquility afforded by the sights and sounds of your own stream and waterfall, and if you are ready for your own piece of paradise contact us today!